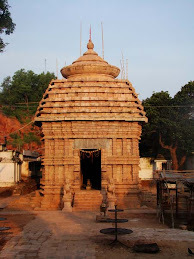 With the chanting of the holy names of Maa Tara Tarini, recitation of hymns, Mantras and Jagna on the Fourth Tuesday, the month long Chaitra Jatra came to an end at the famous Tara Tarini Hill Shrine near Berhampur in Odisha. Considered as one of the biggest religious fairs in India, the Chaitra Jatra at this hill shrine has centuries old history behind it. 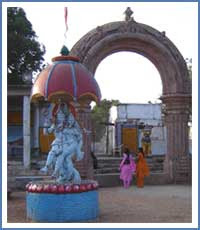 It is noteworthy that of the 4 Adi Shakti Peethas and other major Shakti Peethas in India, it is only in the Tara Tarini Peetha, considered as the Sthana Pith (Breast Shrine) of Adi Shakti that the Chaitra Jatra is held over the entire month of Chaitra whereas in most other shrines it is held for just one day or the Nine days coinciding with Navratra culminating on Ram Navami. 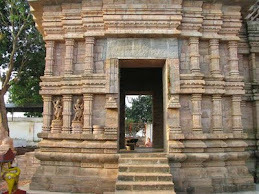 On the last Tuesday, following the age-old traditions, the Sevakas opened the sanctum sanctorum of the temple past the midnight on Monday. 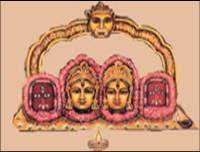 After Snana(the divine bath), Majana and Maha Arati the Amruta Kalasha or the first Bhoga was offered to the goddesses at around 3.55 a.m in the morning. 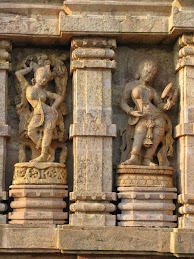 Then the goddesses went for a Parikrama of the temple. 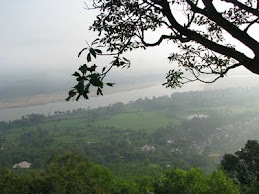 After the completion of the Parikrama, large number of devotees who gathered on the hilltop to take the first glimpse of Maa were allowed for Darshan. The Darshan continued non-stop till the late evening of Tuesday. 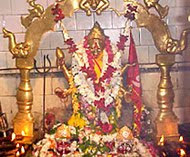 Like other Tuesdays of this month, around two to three lakh devotees gathered on the fourth and last Tuesday of Chaitra month in the Shrine. The large gathering of devotees and their prayers filled with emotion and enthusiasm surcharged the atmosphere of the ancient Shrine. Around one thousand barbers were engaged in tonsuring the heads of around five thousand newborn babies on this occasion. 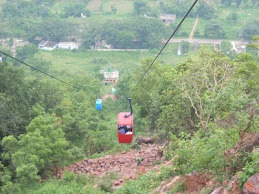 As per traditional beliefs devotees preferred to climb the 999 holy steps to reach the hill top though transportation facilities to the hill top by Arial Rope way and special Buses were made available. They climbed 999 steps as a penance to get the blessing of the deities. As per initial reports, so far around 20 lakh people have visited the shrine for Darshan during the month, including the four Tuesdays. People from far off places like North and South India and from the neighbouring states like Andhra Pradesh, Jharkhand, West Bengal, Assam, Chhattisgarh, many Sadhakasfrom the Tara Pith and other famous Shakti Shrines of India, many Buddhists and Hindu researchers from Nepal and many people from abroad were present during the Chaitra Mela. 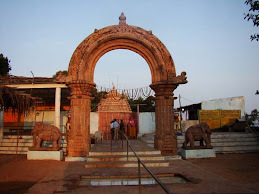 A unique feature of this Shrine is that large number of people flocked to the Shrine from various nearby villages in their bullock carts along with their kith and kin. 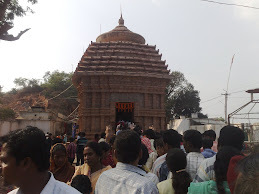 There were also large number of people seen feasting all across the Shrine as a thanksgiving gesture to the Goddesses. The fair comprising rural artisans had large number of buyers and onlookers. 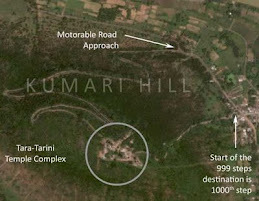 Many devotees who could not take the pain of reaching the hilltop made it a point to worship the sacred Ratnagiri Mountain (Tarini Parvat) from a distance. 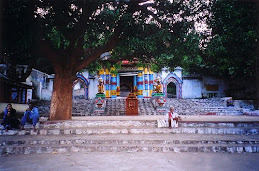 It may be noted that over the years the number of visitors to this hill shrine have been growing steadily during this Chaitra festivals. 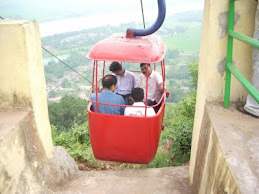 As a result, large number of visitors and mainly the elderly persons who find it difficult to reach the hilltop by taking the overcrowded steps and special buses generally prefer the aerial Ropeway to the hill top which is first of its kind in Eastern India. 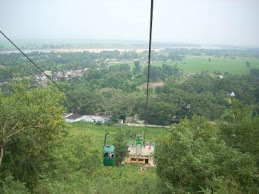 But, the capacity of the existing aerial ropeway is limited. So, sensing the need to accommodate the ever increasing number of devotees, the Tara Tarini Development Board (TTDB) has decided to raise the capacity and frequency of Aerial rope-way service in collaboration with ‘USHA Pvt. Ltd’ a reputed Rope Way service provider in the country. It is expected that by this time next year the carrying capacity of the Aerial rope Way will increase many folds. 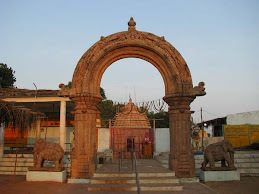 On the occasion of the last Tuesday the District administration, Temple administration and Development Board made wide range arrangements like drinking water, Prasad, Transportation, Primary health care facility, traffic control, and police deployment for peaceful Darshan of the devotees. The office bearers, volunteers of the TTDB, different NGOs, voluntary organizations, media houses, corporate houses and local residents extended their helping hand through out the month to the devotees who came from various parts of the country. 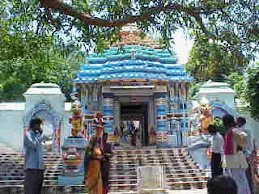 Over eight lakh pilgrims visited Tara Tarini hill shrine in Ganjam district during the four Tuesdays of the Hindu month of Chaitra.